Over the years, Third Leap Brewing & Blending has evolved quite a bit. In 2010, I started with two large spaghetti pots, an old Coleman cooler, and the kitchen stovetop. That lasted all of one batch. The first equipment upgrades came in the forms of an outdoor propane burner, 7-gallon pot, and immersion chiller. Brewing outdoors lasted until fall 2012, when I decided that I no longer wanted the New England seasons to limit my brewing season. A custom-built electric brewhouse, based loosely off The Electric Brewery, was planned during winter 2013 and constructed in early spring. It was semi-operational as of June and fully operational as of October. One year later, I once again upgraded my system from 10-gallon kettles (for 5-gallon batches) to 20-gallon kettles (for 10-gallon batches). In 2015, I shifted my focus from brewing with commercially available yeast to brewing exclusively with wild-caught or foraged yeast and microbes. 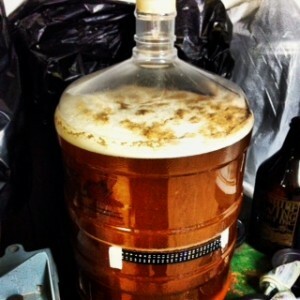 This particular post will give an overview of the brewing process and my system in general. Future posts are in the works regarding the science of brewing and types of ingredients I use at Third Leap. The brewing process begins when malted barley is added to a roller mill and gently crushed. By cracking open the husks of barely, starches are exposed. 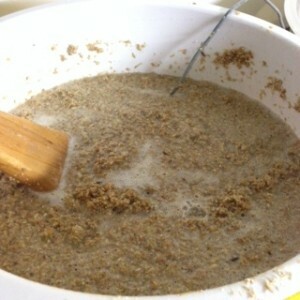 I use approximately 20 lbs of crushed malted barley to make 10 gallons of beer, or about 1 lb per 6-pack. After crushing, the grist (milled barley) is added to the Mash/Lauter Tun (MLT). 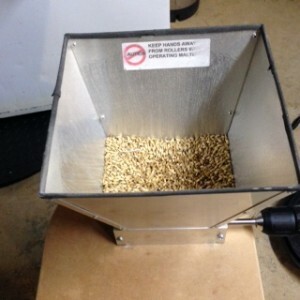 I use a 7 lb capacity Barley Crusher roller mill. Water is the most substantial ingredient in beer, composing up to 95% of beer by mass! Its chemistry can influence not only taste, but also brewing efficiency. 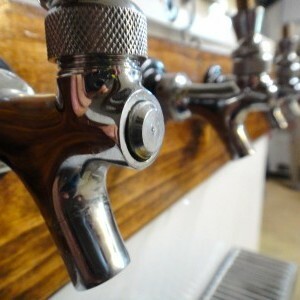 Therefore, it is essential that the water contains the correct substrates for each and every beer. I use a filtration system to reduce unwanted sediment from my brewing water. 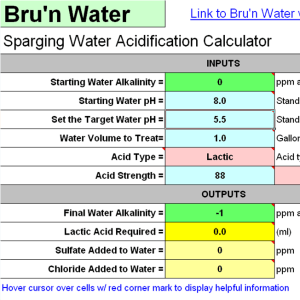 I also use Bru’n Water to assess and modify the brewing water. The grist combines with brewing liquor (purified hot water) to form mash in the MLT. The liquor activates enzymes that convert starches into fermentable sugars over 30-60 minutes. 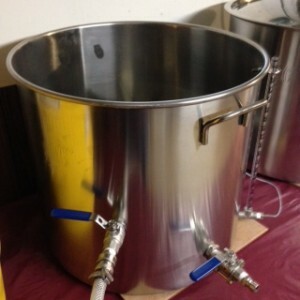 The MLT is designed to separate the wort (sweet malty liquid) from the hot porridge-like mash. My combination Mash/Lauter Tun is a converted 10 gallon Igloo Cooler with a false bottom. I boil the wort in the Brew Kettle for 60-90 minutes for sterilization. This is also when I add the hops to contribute additional flavors, aromas, and that unmistakeable bitterness to the wort. All beers include hops of varying amounts and varieties. The boil is also where spices are added to beer styles like Saison, Biere de Garde, and Gose. My Boil Kettle is a custom-modified 82 qt Bayou Classic. 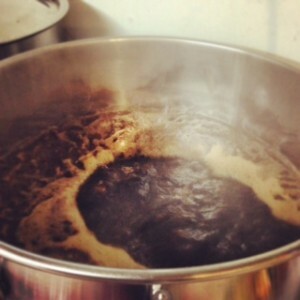 The hopped, boiled wort is then whirlpooled (recirculated) inside the Brew Kettle. This allows for clarification and separation of the trub (protein, barley, and hop particles) which cause excessive haze in beer. The whirlpool feature utilizes a ball-valve and 90 degree elbow that allows recirculation of wort from the Brew Kettle outlet to the whirlpool inlet via a Chugger pump. The hot, hopped wort is pumped through a heat exchanger and rapidly cooled to room temperature while being transferred to fermentors. The heat exchanger runs boiling hot wort against cold water through alternating plates. Heat is transferred from the hot wort to the cold water to cool it down to fermentation temperature. My heat exchanger features a long 30-plate stainless steel body. As the fermentor fills, I add yeast (and/or bacteria), which converts the bittersweet wort into beer. 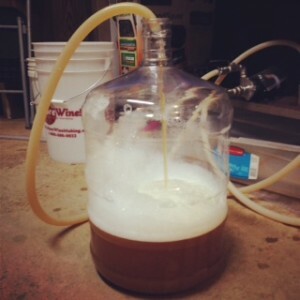 The yeast consume simple sugars to create alcohol and carbon dioxide through the natural process of fermentation. On average the beers take 5-7 days to ferment. I only use wild or foraged yeast strains, and even have my own proprietary strain! 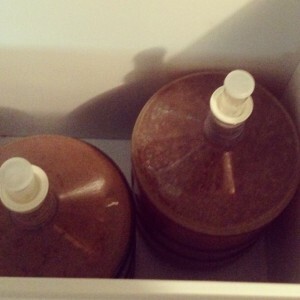 I ferment nearly every beer in 6.5 gallon Better Bottles. After fermentation is complete, the young beer is allowed time to mature for weeks, months, or even years! When ready to package, I lower the temperature to near freezing for several days so the yeast becomes dormant and flocculates (settles out) to bottom of the tank. By not fining or filtering the beer, you can appreciate a slight haze. I condition the beers in a temperature controlled chest freezer. I bottle condition or force carbonate to introduce carbon dioxide into the beer. These processes vary from 2 weeks to 6 months to achieve consistent carbonation levels. Once properly carbonated, the beer is ready to be sipped and savored, analyzed and enjoyed. Some of the beers are meant to be enjoyed fresh while others are intended for aging. I package the beer in-house in bottles, kegs, and growlers. 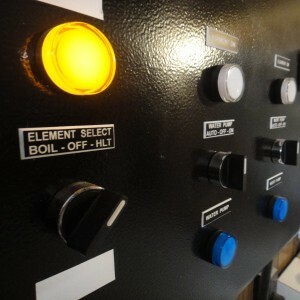 The entire brewhouse is semi-automated with a custom-built control panel featuring a Brewery Control System (BCS-462). This provides ability to monitor and track brewing liquor, mash, boil, chill, fermentation, and condition temperatures. It also allows for heating element and pump operation to heat and transfer liquid. This has yielded better tasting, more consistent beer. How does my brew day compare to yours? Let me know in a comment below!